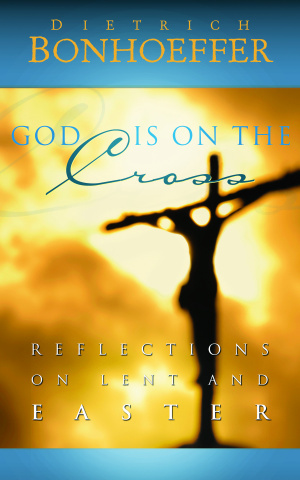 These forty stirring devotions will guide and inspire readers as they move thematically through the weeks of Lent and Easter, encountering themes of prayerful reflection, self-denial, temptation, suffering, and the meaning of the cross. Passages from Dietrich Bonhoeffer's letters and sermons provide special encouragement as readers prepare themselves spiritually for Holy Week and Easter Sunday. Supplemented by an informative introduction to Bonhoeffer's life and a Scripture passage for each day of the season, these daily devotions are moving reminders of the true gift of Christ on the cross. God is on the Cross by Dietrich Bonhoeffer was published by Westminster John Knox in September 2012 and is our 7045th best seller. The ISBN for God is on the Cross is 9780664239206. Be the first to review God is on the Cross! Got a question? No problem! Just click here to ask us about God is on the Cross.